Intensively increase the smell of swiftlets in swiftlet house to create the effect of big population in new house. Strong and effective aroma with affordable price. It is made of natural materials and safe for human and animals. Able to refresh the air in swiftlet house. 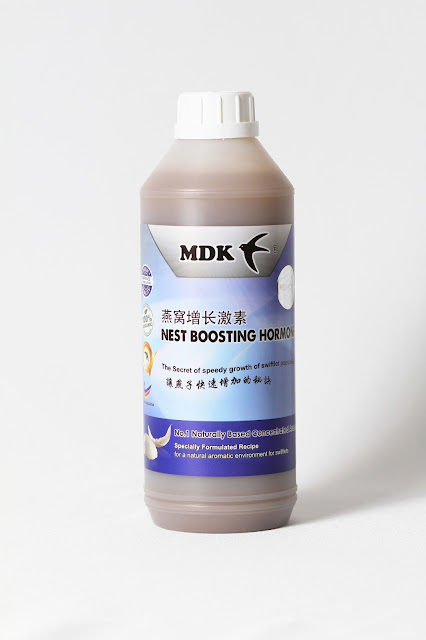 Dilute Nest Boosting Hormone with water in a ratio of 1(Hormone):2(Water). Spray it to wall and floor. (1 foot from nesting plank). Apply every 2 weeks for first six months. Then, apply every 1-2 months for maintenance. Mr. Tan bought the aroma from us at the end of September 2014. The video shows the effect of Nest Boosting Hormone after 2-3 weeks of usage captured by his phone. 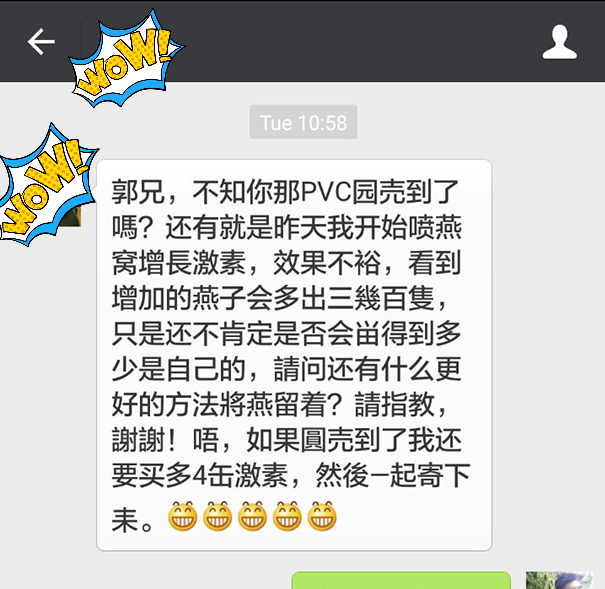 Heartiest thanks to your continual support, Mr. Tan.